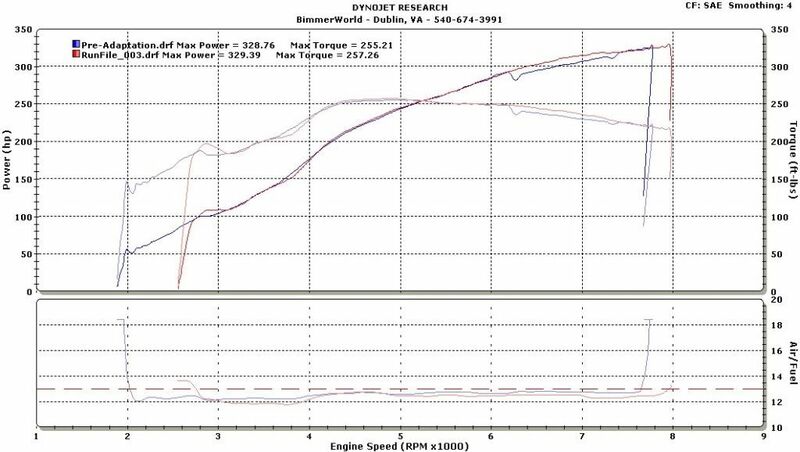 I am seeing people posting their own dyno graphs more and more literally as the days go by. Personally, I am taking a greater interest in reading, interpreting, and understanding dynos for pure automotive awareness. I believe there is much to learn from dyno graphs and more so about them. I had a lot of misunderstandings on how to analyze these graphs, but with the help of many you, I have cleared a lot of that up. If you're interested, please share your dyno graphs and maybe we can continue to build on this thread. I believe this thread has the potential to give people an idea of expected gains from certain modifications. I believe it will be a good resource to educate ones self about dyno graphs. All the while, it would hopefully become a solid reliable archive. I find myself constantly searching the forums and trying to remember where I saw certain posts. Well this may be a good place to consolidate a lot of records. Feel free to add any notes regarding your post (technical difficulties, errors in dyno, future plans, etc). NOTES: The wideband sensor/AFR pickup was incredibly inconsistent. This made it somewhat difficult to tune it the way I originally intended, as I wanted to get an Alpha-N Tune done. We opted to stick with their Stage 1 Tune for now. Sal@Evolve said that he would feel more comfortable doing it if my AFRs were properly read. He found out that the AFRs measured were not accurate through manipulations in the tune, but no real recorded differences on the dyno graph. I plan on going to a more reliable dyno location in August to get a proper Alpha-N Tune done. Another note, a few days after the dyno, I found out I had a failed pre-cat O2 sensor in bank 2 and a faulty EGT. I'm also not sure if this effects power, but proceeding replacing the pre-cat O2 sensor, the car did feel much stronger. Last edited by flipm3; Sat, Jan-26-2013 at 08:40:05 PM. Last edited by sraz786; Sat, May-14-2011 at 05:41:21 PM. Thanks for posting!! I don't know much regarding the WinDyn dynos, but do they do any type of correction factor? SAE? STD? etc. NOTES: The wideband sensor/AFR pickup was incredibly inconsistent. This made it somewhat difficult to tune it the way I originally intended, as I wanted to get an Alpha-N Tune done. We opted to stick with their Stage 2 Tune for now. Sal@Evolve said that he would feel more comfortable doing it if my AFRs were properly read. He found out that the AFRs measured were not accurate through manipulations in the tune, but no real recorded differences on the dyno graph. 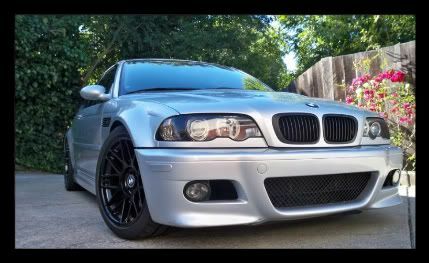 I plan on going to a more reliable dyno location in August to get a proper Alpha-N Tune done. I'm confused.. on their site it only lists stage 1 and the alpha-N. What is stage 2 and what is the price/performance difference between stage 1 and 2? sorry for the confusion. i will edit that right now. from my observation, Evolve has changed the naming and marketing of their tunes. if i remember correctly, Evolve used to call their tune for a completely stock car 'Stage 1', then a car with mods such as stepped headers, exhaust, etc was 'Stage 2'. i'll edit that right now, but you are correct, there is just a Stage 1 and Alpha-N. thank you for the clarification! Here's mine, sorry for the delay. Last edited by PerkM3; Thu, May-26-2011 at 04:33:13 PM. ^ Sick numbers!! Out of curiosity, did the fan clutch delete yield any noticeable gains? Are you running cats at all? It's really hard to tell as I didn't dyno between mods. I just had a baseline of 279 whp and then this dyno. All the power mods were done within a week of each other. I did the fan clutch delete more for cooling then power, but from what I've read the fan clutch delete is good for 5-8 whp due to it removing drive from the motor. Kind of like underdrive pullies. Edit: No cats or resonators. Last edited by PerkM3; Thu, May-26-2011 at 06:32:47 PM. All times are GMT. The time now is 10:44:44 PM.